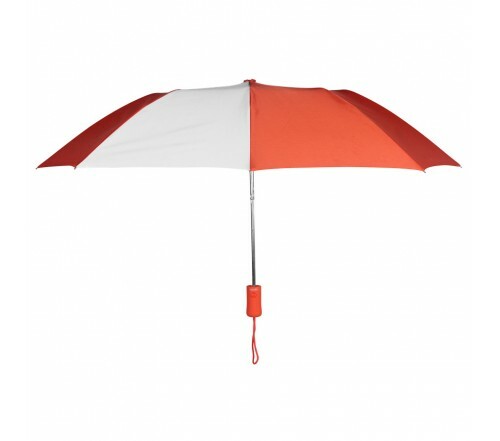 Personalized orange & white 43” arc pakman umbrellas make a favored representation choice for marketers who are targeting “soft customers” including women, and kids. Many cosmetic companies, fashion houses, and other businesses are seeking these umbrellas for gifting purposes. 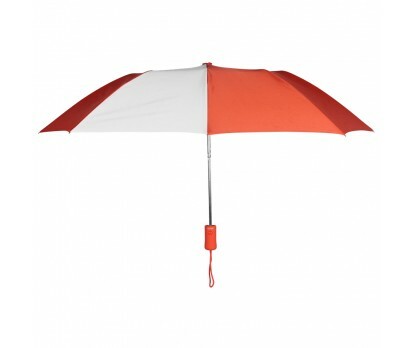 Features - 43” arc orange & white nylon fabric canopy, matching plastic rubberized handle, automatic open function and 7 & 1 design. Dimensions: 43" arc - Folded Length 15.5". Imprint area - 7"W x 6.5"H. This umbrella can be easily contained within purses, and bags. Product & Design Quality - Excellent! We took the umbrellas to Convention and came back with 0!! Everyone loved them. Customer Service & Shipping - Very efficient and no problems at all.